Have you locked yourself out of your home or vehicle? Lockouts aren’t just inconvenient, they can be highly stressful and even unsafe. 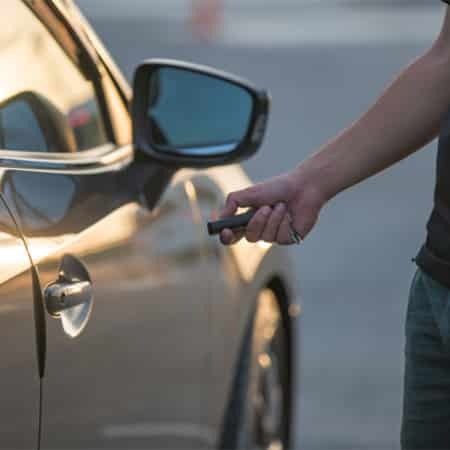 At Noble Locksmith, we are a mobile locksmith service that’s available 24/7. We’ll meet you wherever you are in the Miramar region, day or night, and get you back inside safely and quickly. Who Needs a Local Locksmith on Speed Dial? Don’t wait until you’re facing an emergency lockout situation to find a local locksmith that you can trust. Miramar is home to several locksmith scam artists who lure desperate customers in with the promise of low pricing. Unfortunately, too many of these “locksmiths” have not received formal training; they’ve learned a few tricks through watching internet videos and through trial and error, but they lack the proper tools and training to get the job done right. In many cases, a discount locksmith will simply break the lock, leaving the customer with compromised security and the expense of having to replace the lock. At Noble Locksmith, each of our locksmiths receive thorough and ongoing training to stay current with the latest trends and advances in security technology. We have the tools and training necessary to tackle jobs big and small, all without compromising the integrity of your lock. We are certified, licensed, and registered, so you can trust that you’re receiving the highest quality service. At Noble Locksmith, we provide a full array of locksmith services for the homes, vehicles, and businesses of Miramar. We sell, install, service, repair, and rekey the top brands in security, including Kwikset, Master Lock, and Schlage, and our locksmiths are dedicated to providing the utmost in customer service and quality. If you are facing an emergency lockout situation or if you would like to learn about the latest in residential or commercial security technology, Noble Locksmith is here to help. We have the tools and training to take on your challenge, whether you need to get back into your home or vehicle, you need to replace the key to your safe, or your car key broke off in your ignition. Contact our mobile locksmith service now to receive fast help.